This autumn the Moscow art calendar is rich as ever and art lovers may find the Russian capital one of the hottest destinations. The State Tretyakov Gallery shows a moving retrospective by Ilya and Emilia Kabakov: “Not Everyone Will Be Taken Into the Future” and the exhibition of the world-famous avant-garde artist Mikhail Larionov while the Pushkin Museum of Fine Art presents “Masterpieces of Edo Paintings and a Japanese installation artist Tadashi Kawamata. Yet Cosmoscow art fair that took place on September 6-9, has its special role and place on the art scene: it is Russia's only international contemporary art fair with its own spot in the international art calendar. The 6th edition representing a record number of 70 Russian and international galleriesin seven curated sections featured 250 artists from Russia, Europe, the USA and the Middle East. The art forum’s popularity is growing with the audience, too: this year Cosmoscow welcomed over 19, 000 guests. 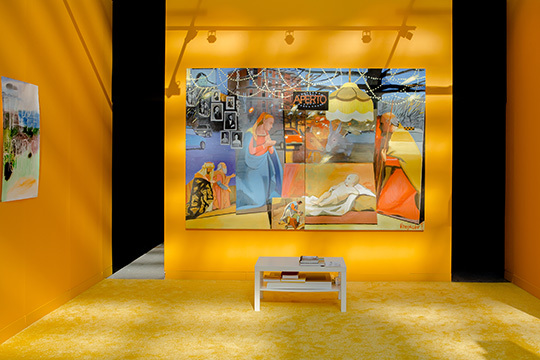 The fair aims to bring together both Russian and international collectors, galleries and artists and also to serve cultural diplomacy – it has a vast educational and non-commercial programme – this time connecting Russia and Qatar within the framework of A Year of Culture between the two countries. 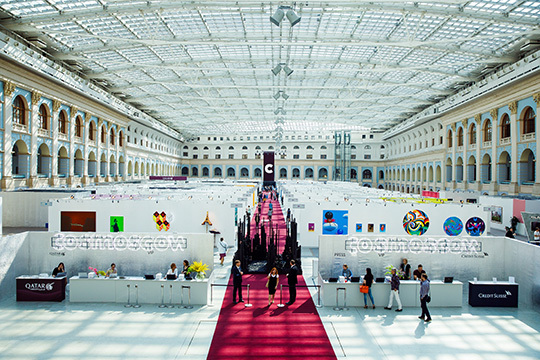 The sixth Cosmoscow fair held at Moscow’s Old Merchant Court (Gostiny Dvor) gathered gallerists, artists, experts, collectors and art aficionados from across the globe. 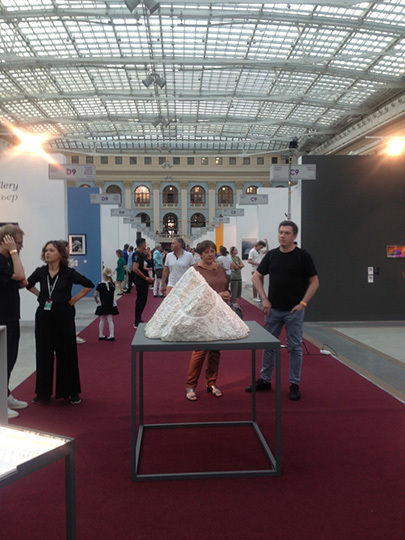 Despite the fact that the young Russian art fair cannot compete in scale and diversity with the industry leaders such as Art Basel or even regional Art Dubai, its role cannot be underestimated – it is the only art fair in Russia and the CIS countries that represents contemporary art. Cosmoscow witnessed numerous comebacks of previous year's international participants as well as newcomers. The spectrum of foreign participants ranged from the Baltic countries, Georgia, countries of Eastern Europe and the CIS to numerous guests from Norway and France. For the second year running, the Focus section united several galleries from one specific country – this time it has introduced artists and galleries from Belgium. The extensive on-site programming traditionally incorporated Focus, Galleries, Past Present, and Projects sections enhanced with three new curated sections including Editions, Design, and Frame. By establishing a new format, the organizers hope to attract the younger generation of art buyers and expand the collectors base. 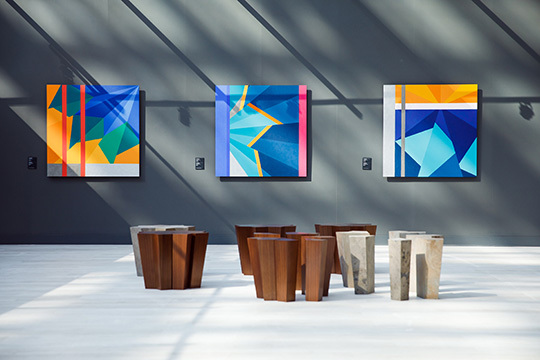 Editions featured galleries, which deal with prints and multiples, the Design section showcased galleries dealing with contemporary design and Frame represented nomadic galleries with no permanent space or the ones that work as showrooms. The Past Present section focused on recognized contemporary Russian art masters, such as Vladimir Dubosarsky, Alexander Vinogradov and Victor Pivovarov, whose works are in prestigious collections and museums but have retained their actuality and artistic value in the present. One of the special projects commissioned for the fair was created by Taus Makhacheva, Cosmoscow Artist of the Year 2018, who has successfully represented Russian contemporary art on the international stage for a number of years. Her work “A Ringroad”, a carved dolomite model of a two-way drive around a mountain in Dagestan, is a symbolic representation of an art system and, according to the author, can serve as a metaphor of power. 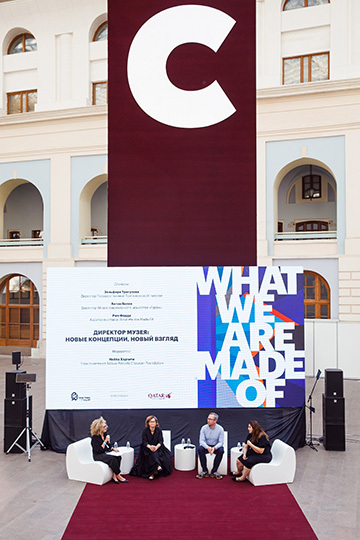 As part of a Year of Culture between Qatar and Russia the fair hosted an exhibition of Qatar contemporary art «What we are made of» curated by Rim Fadda. 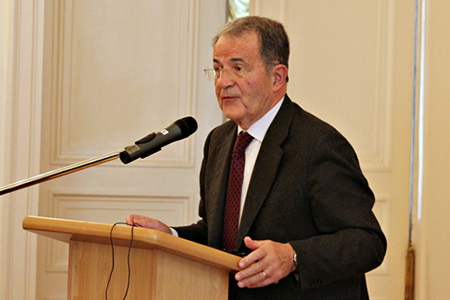 Despite differences in size, climate and geography, the two countries share common values - respect for their historical heritage and ability to respond to the challenges of contemporary world. Opening the exhibition, a prominent curator emphasized that “the exhibition is aimed at revealing the communalities, this idea of openness and the approach towards evolution and development that is happening in these two counties and how we look at tradition, culture and its representation.’’ A special educational programme with Qatar artists and directors of leading Russian museums participating in debates and round table discussions was part of the fair. Cosmoscow 2018 also featured the first public presentation of a new collection of media art formed by the Pushkin State Museum of Fine Arts as part of the Pushkin Museum XXI programme. In the improvised movie theatre, the visitors had a chance to see classical works by Ionas Mekas and Gary Hill (USA), a video painting by Marianna Heske (Norway), a video trilogy of the Russian art group Provmysa and other video works that are already part of the collection. Olga Temnikova of Temnikova & Kasela Gallery (Estonia) and the member of the Expert Council, said that this year she was pleased by the audience and its level of knowledge in the field of contemporary art: “If I have to compare Cosmoscow 2018 to my first year of 2011, there is a stark difference. Intensive educational programmes continue to lay the basis for the future. I wish I were a visitor who could spend a few days at this art festival. My colleagues are also satisfied and that's the best result for me as a gallerist”. Commercial results of the fair are yet to be announced, but the organizers are sure that the Russian market of contemporary art is becoming more attractive as a tangible investment. Last year most participants (75%) disclosed data of sales and the average price of the item amounted to 12,000 euros. Closing this year’s art marathon, Margarita Pushkina, the founder and art fair director since 2010, emphasized that “the fair has proved that the contemporary art market in Russia is developing and Cosmoscow today is a project that is going far beyond its annual format of an annual contemporary art show”. Kate Fowle, chief curator at Garage Museum of Contemporary Art: "We’ve been the first to create these bridges…"
710: 30 seconds to mars. Cosmoscow 2018 sets its own records18 September 2018: Cosmoscow 2018 sets its own records! 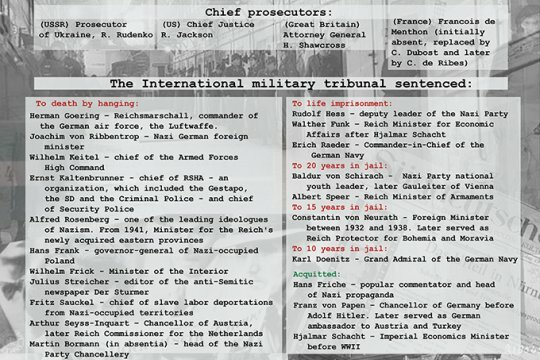 лучшие комедии. Cosmoscow 2018 sets its own records.